#960 She gives it to me every season. 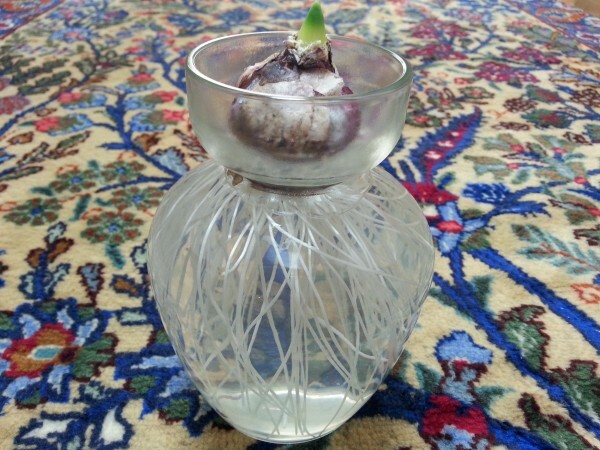 My friend gave me a hyacinth bulb in November. She gives it to me every season. And I grow it to bloom beautiful flowers. Look! How cute it is! However, it is not in a good condition. Because the stem didn’t grow as tall as it should be. I think it was too warm in my house. 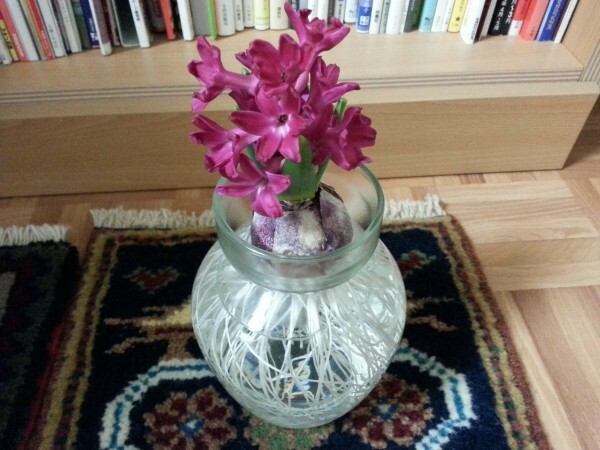 This hyacinth felt like blooming flowers before its stem grows tall enough. Anyway, I am happy to see blooming flowers which I grew myself. Thank you, my friend. You give me a wonderful present every year. Every time I see a hyacinth, it reminds me of you.